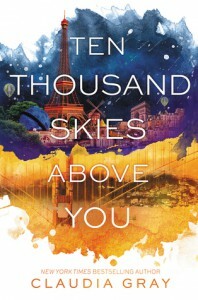 It’s a good thing that Claudia Gray ended Ten Thousand Skies Above You on that terrible cliffhanger, otherwise I probably wouldn’t have planned on picking up the next and final (thank God) book within this series. I thought Marguerite was annoying in A Thousand Pieces of You, but she is savage in this installment. This book started out great, actually. The first 20% wasn’t that bad—my only problem being that I felt a little inconsistent story telling with whatever was going on, but whatever. And then. And then. Marguerite begins to do what she can do best, she starts thinking she’s omniscient and that she knows every single thing in the whole wide world. And that really, really bothered me. I like everyone in this book except for Marguerite. She ruins everything. I’m sorry, but I refuse to accept the fact that a girl who got her doppelgänger knocked up from a different dimension AND doubts the person who loves her because she saw a different version of him (that he himself doesn’t even know about because he was splintered!!!!!) can possibly in any chance be the person to save the existence of humanity. Call me back when the joke’s over, folks. I am only picking up the last book in this series because I’m just curious. How does the author plan on pulling off everything after spending two books on a lot of dimension hopping? I’m not sure. And by the way, Paul deserves someone so much better. Have absolutely no expectations from the next one, but these books are easy to get through so whatever.